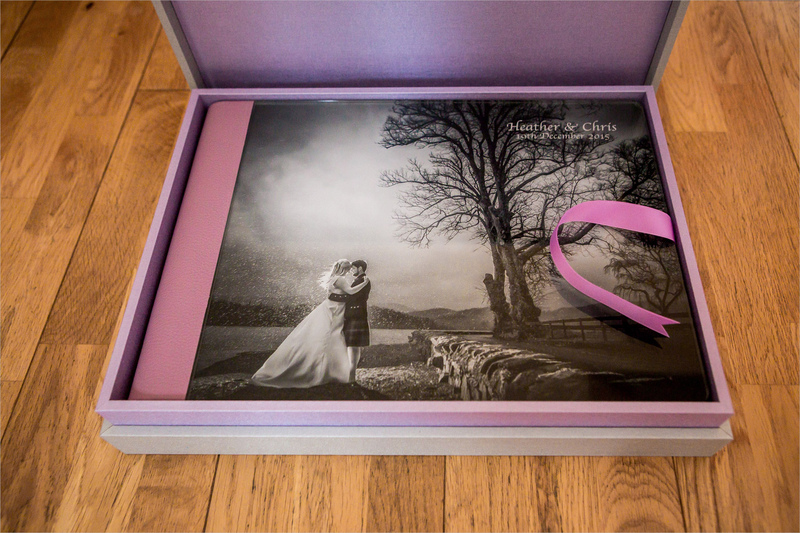 Back in March, I shot the wedding of April & Callum at the very wonderful Dundas Castle and recently, was delighted to deliver their wedding album to them. The guys had come to the home office/studio a coupe of months back to make their choices for the album, making full use of the lab’s new “swatch box”…although to call it that seems to sell it short a little, as it’s totally stuffed full of all the many swatches and samples that then;ab have on offer when it comes to finishing your album just the way you want it. 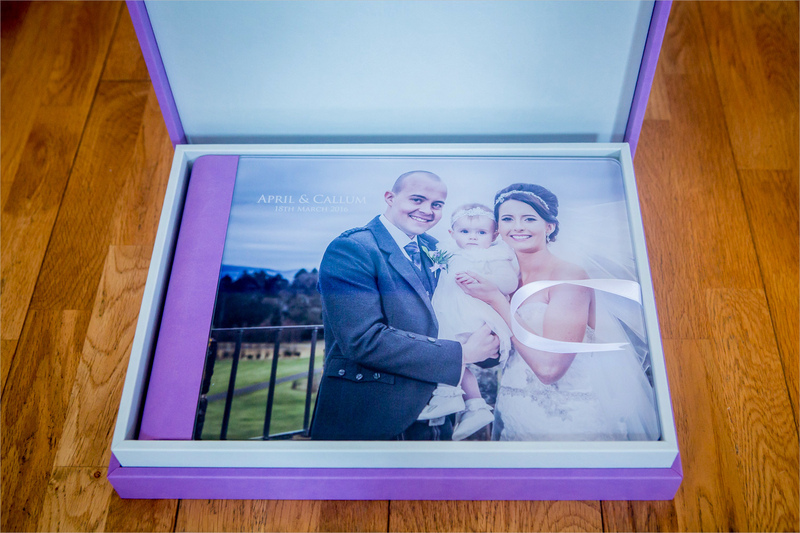 For their album, the guys chose one of Graphistudio’s “Original Wedding Books” and opted for the popular “crystal glance” cover complete with a light violet cloud leather binding. This was all topped off by a complementing design box in light violet & ice grey cloud leather. 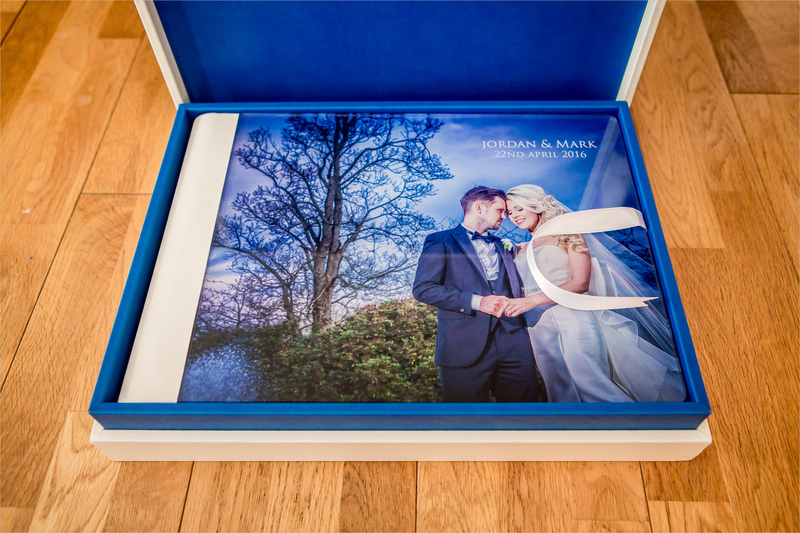 Now this, guys, I am totally delighted to be sharing with you – my latest album design that I sent on it’s way recently to Jordan & Mark featuring their fabulous wedding day at The Parsonage, one of my local venues and one that’s fast becoming one of my favourites :-). 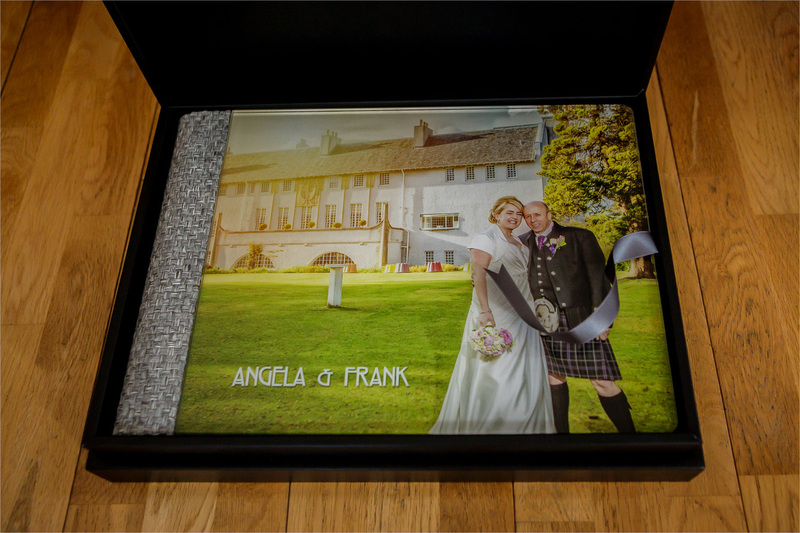 “We have just received our Wedding album and we are totally in love with it. Our photographs are so natural and really capture our day perfectly. We love our ‘show stopping’ photographs with beautiful scenery & light effects that we wouldn’t even have dreamed of having in an album. We have so many favourites has made choosing one for our wall almost impossible. Mike was everything we were looking for in our photographer; professional, unobtrusive, friendly, approachable from our first message to receiving our album. Can not recommend him enough! Was great to catch up again with Angela and Frank a couple of weeks ago as they dropped by the home office/studio to pick up their wedding album. The big day itself took place at the fabulous House for an Art Lover in Glasgow back in May last year so it was great to relive that day through the album as the guys flicked through page by page :-). For their album, the Angela & Frank chose one of Graphistudio’s “Original Wedding Books” and opted for the popular “crystal glance” cover complete with grey interwoven binding. As a nice added touch, I suggested that we might like to use the very unique “Glasgow Strong” font typeset for the cover and first page…the very same font that is used by House for an Art Lover on the menus and place names. Hot on the heels of my last post, here’s another album design for you today guys. 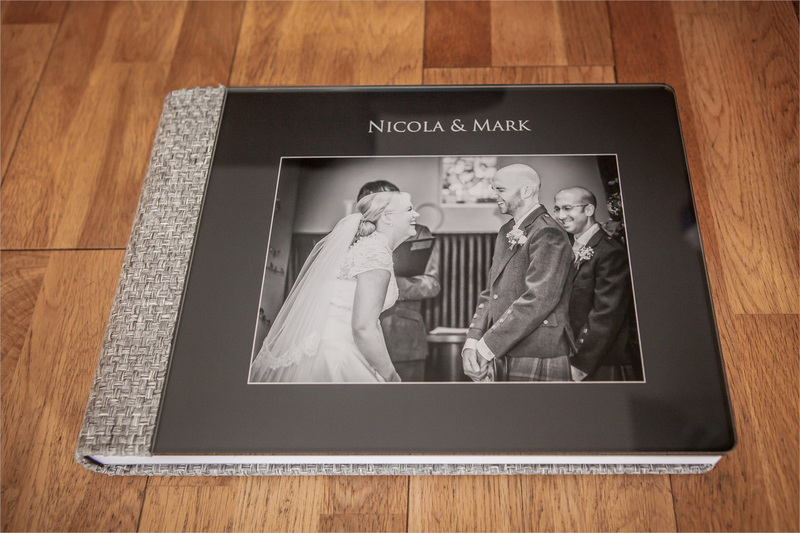 This one features Nicola & Mark’s big day at one of my local venues, Glenskirlie Castle, from September 2014. You see, the thing is, there’s absolutely no time limit on when you can get an album made up; Mark contacted me recently to let me know that they would like to start the process for an album, even though the wedding itself was almost two years ago. I always have a copy (well, two copies actually) of each and every wedding that I’ve ever shot, and that’s a lot of weddings now, so it’s a fairly straightforward process to get the ball rolling. For their album, the guys chose one of Graphistudio’s “Original Wedding Books” and opted for the popular “crystal glance” cover complete with grey interwoven binding and all coupled off in a matching sleeve for storage. Nicola & Mark also added in a couple of half sized parent albums that are exact copies of the main album with a hardback cover. MarkThanks for a great job on the album Mike, and all the negotiation on the pictures to be included. Your enthusiasm for albums is justified, they’re not cheap but they’re a clear few steps ahead of looking at an online album. Thanks again for all the hard work.